New for 2018. 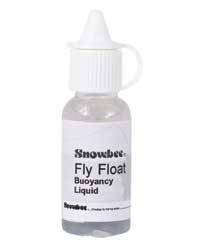 Snowbee's new fly floatanti is based on an old favourite formula, with a few new modern "tweaks", to produce what is undoubtedly the best fly floatant, they have ever used ! A single application prevents hacklesd getting waterlogged and keep dries floating high. New image to coming soon. 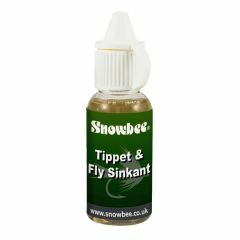 Snowbee's Tippett Sinkant breaks the surface tension and allows even the lightest leader tippetts to cut through. A silicone based fly line lubricant, which reduces friction and resistance through the rings, allowing faster line speed at all times. When kep fully coated, it helps protect fly lines from damage and the effects of any harmful chemicals. Incorporates a plasticizer, which helps restore old or cracked fly lines. Can also serve as a fly reel lubricant if required. We've all suffered those Intermediate or Sinking Fly Lines that "hang" in the surface film. This is generally due to silicones used in fly line production, leaching though to the surface. Our de-greaser is the only known silicone solvent, which effectively removes all traces of silicone or grease from the fly line, allowing it to cut quickly through the surface film.